We are very excited to begin and continue teaching your dog how to be a happy, well-mannered member of the family! Here is what to expect and what to bring to your first class. All classes require pre-registration, as space is limited. You can access our class schedule on our website to register for the individual classes that you wish to attend. If you find that you are unable to attend a class that you had registered for, please cancel your reservation so that we can make room for another student. BlueDog Academy is located at 19 Lupine Road, Andover. There is plenty of parking in the back of the building. If this is your first class with us, we ask that you please arrive 15 minutes early so our trainer can go over the basics with you and get you up to speed before the class begins. At BlueDog Academy, we like to practice good doggie etiquette so we ask that you please bring your pup to relieve himself at the designated area across from our entrance prior to class. You’re also welcome to take breaks throughout the class if you think your pup needs to go! For vaccinations we simply require that your dog has received his distemper/parvo vaccination and his rabies vaccine. Please bring a copy of your pup’s records with you to your first class so that we can confirm this. For puppies, we simply require that your puppy has received at least one round of his distemper/parvo vaccination. We do not require the rabies vaccine until 6 months of age, per Massachusetts law. You’ll want to bring a couple things to class to enable the best learning experience possible. Please bring your pup on a 4 or 6-foot nylon leash, no retractable leashes. We also ask that you bring him with a well-fitted collar. If you’d like advice about appropriate collars, we are happy to make suggestions during the first class. You’ll want to find a very tasty, soft, easy to swallow treat that your pup just absolutely loves! Feel free to experiment; we’ve found that our pups love everything from string cheese to turkey hotdogs to cold cut ends to rotisserie chicken. Remember that your pup eats kibble every single day, so it might not be tasty enough to motivate him to pay attention to you when there are other dogs in the class. Also, our pups work best when they’re hungry, so consider waiting until after class to feed him his meal. We also suggest that you bring a treat pouch to help you carry your treats, or you can purchase one during your first class for $15. Please also bring a bed, mat, or towel for your pup. We will be using them throughout the 8 weeks to help teach our dogs to “settle” on their mat, a wonderful behavior to use at home! For highly distracted dogs, you’re also welcome to bring a favorite chew toy to keep him busy in between lessons. For treats and/or collars, we recommend you visit Ciao! Bow Wow at the Butcher Boy Plaza in North Andover. One of our focuses during this class will be on proper doggie greetings. So we ask that when you arrive you do not allow your pup to say hello to the other dogs. Once in the classroom, feel free to spread out and give yourselves plenty of room to work. With time, at the end of each class we will teach our dogs the polite way to say hello, and then allow them to mingle and play if appropriate. Your instructor will talk you through each command, demo with a pup in class, and then ask you to begin teaching your dog. You can ask questions at anytime during class about the commands that you’re working on. However, please keep in mind that one hour each week isn’t enough for your pup to learn everything! 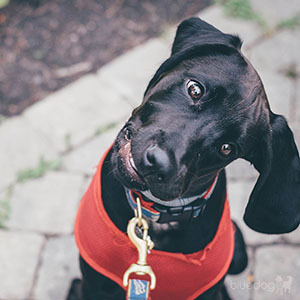 So we will discuss how you can incorporate what you learn into your everyday life, thus taking what you learn in class and teaching your pup from home how to quickly become a well-mannered dog! We look forward to working with you and your pup. If you have any questions at all, please don’t hesitate to contact us! Thank you for your interest in having us walk & train your pup! Please complete all the information below to get started! Please note that we only service Andover and North Andover, MA. If you’re outside that area, feel free to call us for recommendations or visit the PSI Pet Sitter Locator. Private training in obedience, manners & leash training for dogs & puppies. Our trainers do not use corrective-based training aids. Our approach is always compassionate to your dog.